Set just 400 m from Adriatic Sea's beach in Bibione, the 4-stars Grand Hotel Esplanada features air-conditioned rooms with free Wi-Fi acces, TV, minibar, balcony and private bathroom with free toiletries, also, 24-hour front desk, room-service and free private parking, as well, each room includes a parasol, sun lounger, and deckchair at the hotel's private beach area. 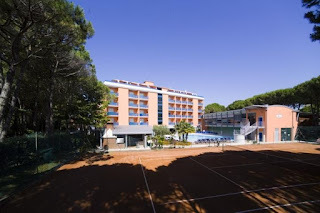 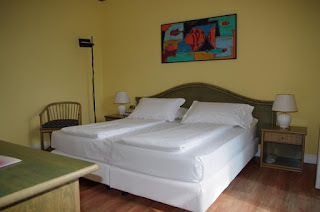 An outdoor pool with hydromassage area, a large garden and a tennis court, tour-desk, a restaurant with grill and a bar, kids's club and a pool only for kids, a fitness centre and free bikes are also available at Grand Hotel Esplanada Bibione Pineda. view over the largest Adriatic Sea's beach, also known as Tuttaspiaggia.